Why does the Loire River valley, or Val de Loire, seem untouched? Because much of it is untouched: flowing westwards towards the Atlantic, some 280 kilometres of land on either side of this, the longest river in France, is protected by UNESCO World Heritage status. That means the rolling vineyards and manicured gardens surrounding its medieval châteaux look much the same today as they did when kings and queens strolled by the Loire. 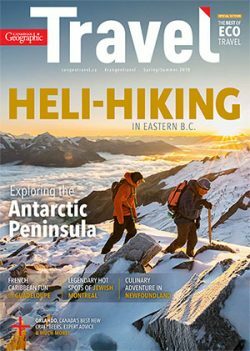 I had the chance to cycle through the region recently, and was wowed by its beauty—and, of course, its cuisine. Here are some highlights of the journey. I travelled to France with two friends via Air Transat, which conveniently offers seasonal flights from Montreal direct to Nantes. From nearby Angers—home of one of the world’s best-preserved medieval tapestries, Apocalypse—we travelled east by bicycle to Saumur. It’s an equestrian town with a lovely slate-stone enhanced town centre, where we dined well on succulent lamb and a soft Loire red wine as the summer sun went down. We arrived in tiny Langeais after pedalling across a bridge that looked like something straight from a woodcut in a book of fairytales — as did the Château de Langeais situated smack dab in the town centre. We stayed at L’Ange est Reveur, a gorgeous and friendly bed and breakfast. The view of the château from my room, pictured above, needs no words. And, dining at the renowned Au Coin Des Halles with its Michelin-starred chef was superb. We were delighted to find the next morning that it was market day in Langeais. There were flowers, seedlings, fresh leafy greens, cheeses, a variety of mushrooms for which the Loire Valley is famous, and a huge array of olives. We’d have loved to stay here for another day or two and indulge in the market’s offerings, but it was time to move on to our next stop. All along our riverside route were vineyards and gardens, châteaux and cafés. 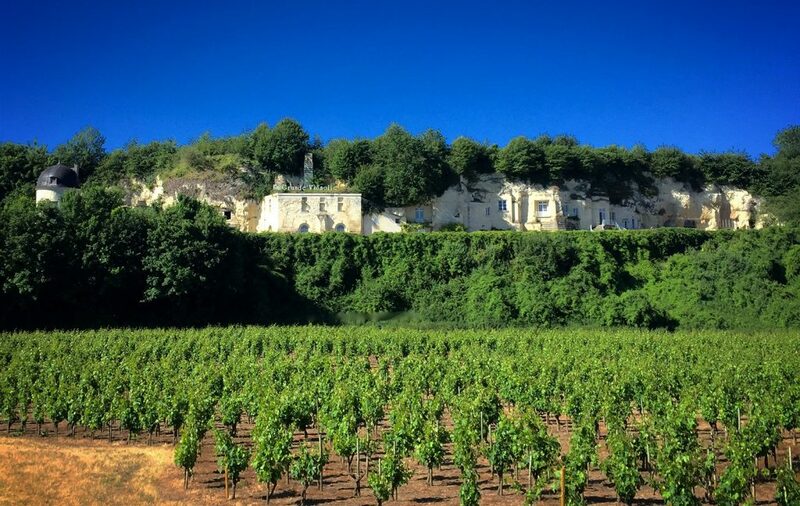 Pictured above is a beautiful example of a winery built right into the white cliffs, which are comprised of a type of Loire limestone called tuffeau. The Loire is perhaps most famous for its chenin blanc white wines, but there are many delicious white, rosé and red options. A visit to this region is not complete without seeing two places. One is the 10th-century Château Chaumont-sur-Loire, with its world-famous gardens and creative contemporary art installations, including one situated within the serene Catherine de Medici chapel and incorporating dried flowers and leaves from the château grounds. The other is Château de Chenonceau, which quite literally spans the River Cher, a tributary of the Loire. It’s a showcase of beautiful rooms, artwork and stunning flower arrangements by Frances’s leading flower designer, Jean-Francois Boucher. Here, we also had a chance to sample desserts and pink Champagne en plein air outside L’Orangerie restaurant at the château. The berry and sugared rose petal confection was almost too beautiful to eat. 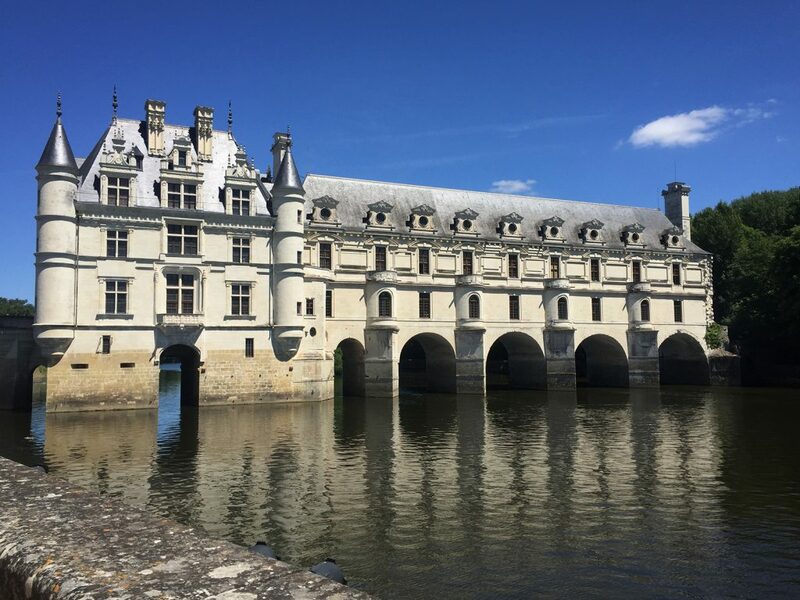 I was wowed by the Loire Valley region, and I can confidently say that this place, only two hours south of Paris, should be on everyone’s European travel list. For more information or to begin planning your trip, visit Val de Loire.